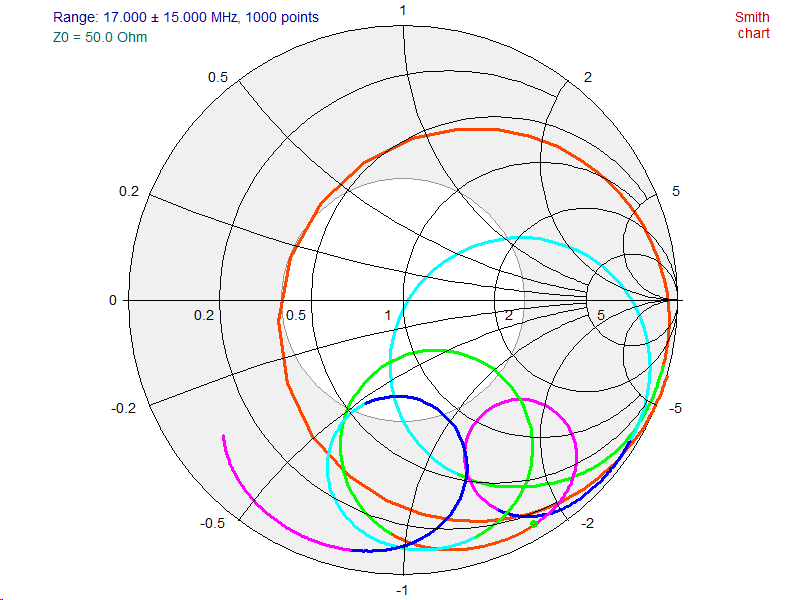 Some correspondents have asserted that the challenge (see above Smith chart) contains a response that is contrived for the purpose and not representative of real world antenna systems. The data was derived from measurement of a simple real network to illustrate the failure of many algorithms for assigning sign to unsigned reactance data, ‘loops’ such as that shown are not all that unusual in real world antenna systems. 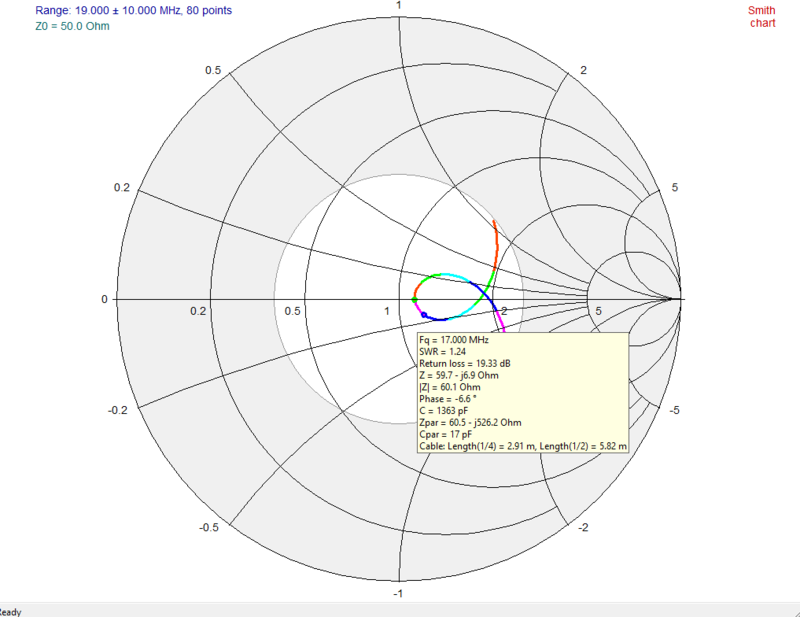 Quite recently I published Implementation of G5RV inverted V using high strength aluminium MIG wire – impedance measurements which gave the measured impedance looking into the feed line. 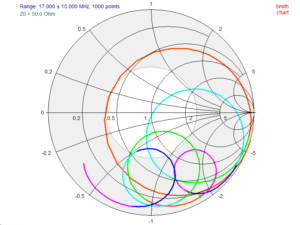 The Smith chart above of impedance from 2-32MHz shows three of the five ‘loops’ are problem ‘loops’ that present a challenge to inadequate algorithms or poor implementations.